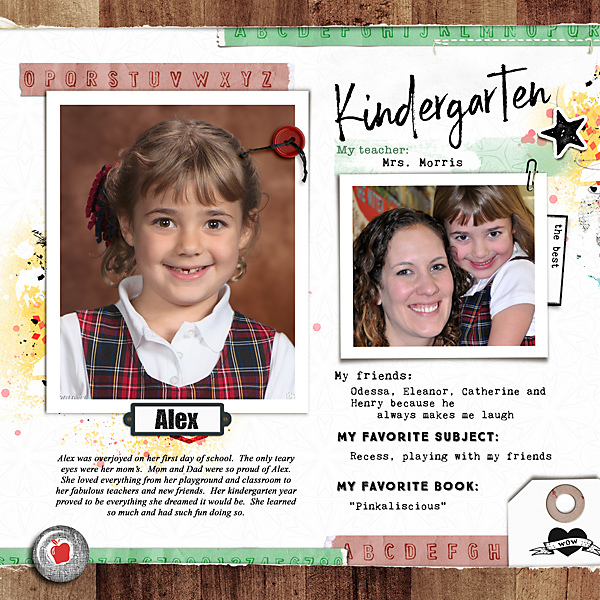 All you need to record your child's school and educational achievements. 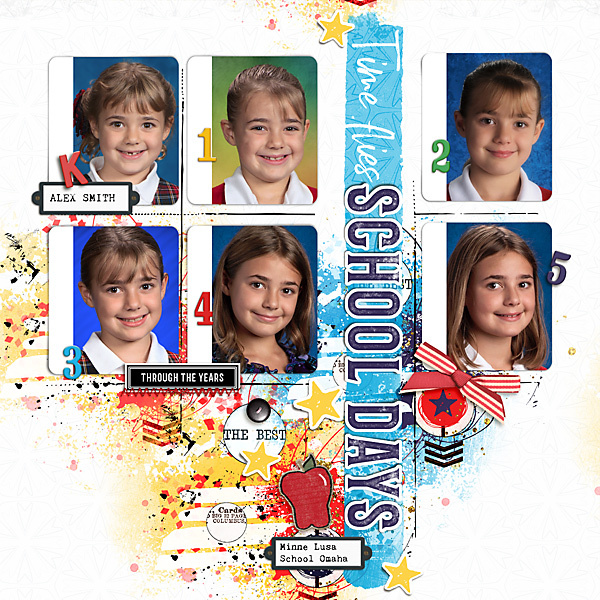 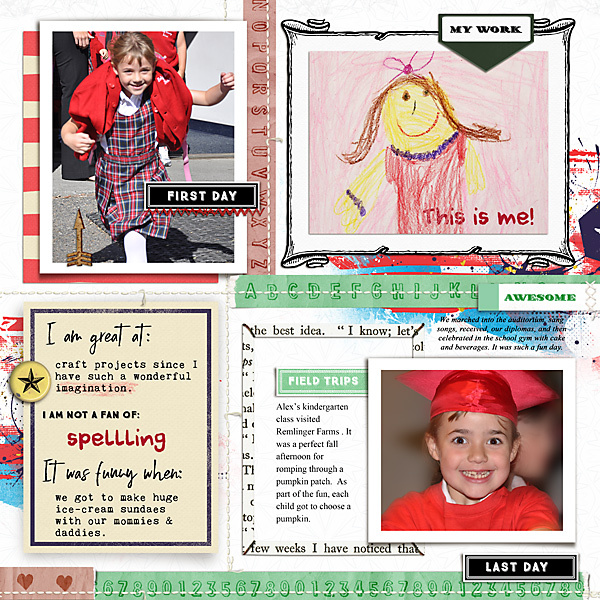 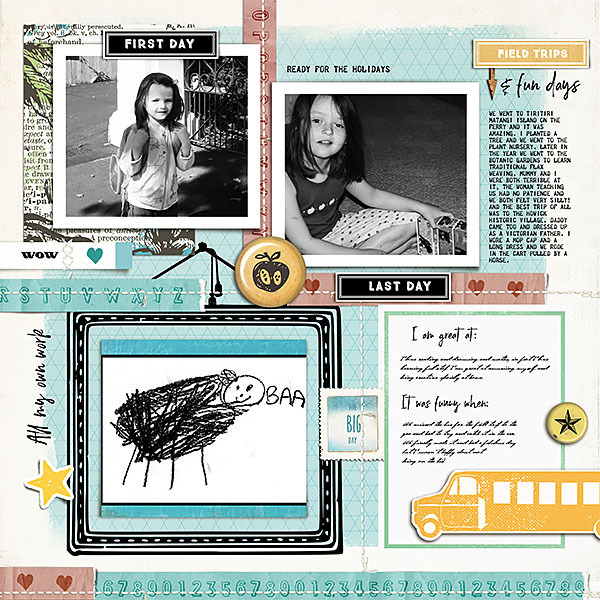 Includes two multiphoto pages perfect for school photos from either K-8 or K-12, then four spreads to alternative through a photobook with spaces for scanned or photographed artwork, first day and last day photos and notes about teachers and subjects. 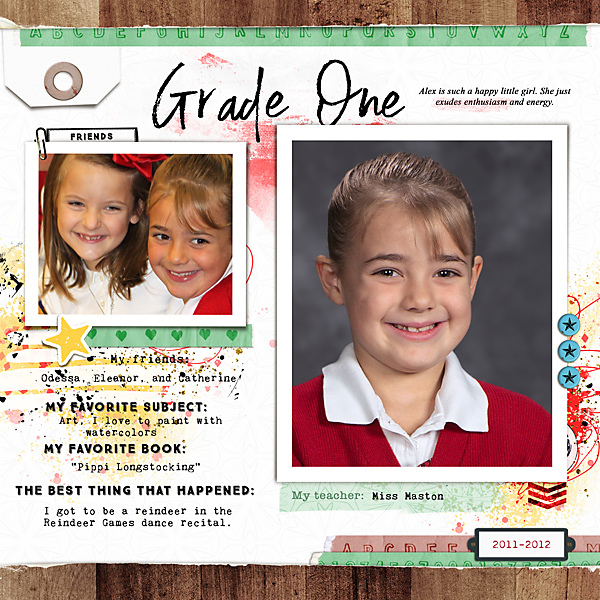 Includes word art with names of grades.